Georgia Academy of Dance & the Performing Arts, the official school of Georgia Dance Theatre, is one of the southeast’s premier schools for performing arts education. It was established in 1990 by Founder and Artistic Director, Sherri Davis. The Academy is located in Peachtree City and Newnan, Georgia. 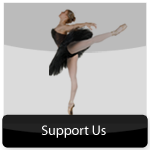 Since its inception, Georgia Academy of Dance & the Performing Arts has been dedicated to building a positive future in the performing arts from the classical to the contemporary. To help foster this positive future, Davis founded Georgia Dance Theatre, a non-profit, civic organization, in 1990 to provide the serious student an intense study of dance and an opportunity to perform, while offering an avenue for those interested in pursuing a professional career in dance. In 1996, Georgia Dance Theatre Professional Company was established in order to expose these students to a higher level of dance. Today, Georgia Dance Theatre continues to be a growing company gaining recognition for its achievements all over the nation. Additionally, the company reaches thousands of people annually with professional performances, educational and outreach programs, and participating in charitable organizations and events. This scholarship program continues to provide opportunities for aspiring artists. 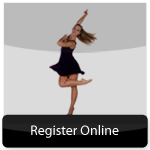 From 1990-2006, Georgia Academy of Dance offered classes in all genres of dance including ballet, pointe, jazz, modern, tap, hip hop, ballroom, and more. In 2007, Georgia Academy of Dance became Georgia Academy of Dance & the Performing Arts with the addition of various music programs to provide other performing arts instruction and education. 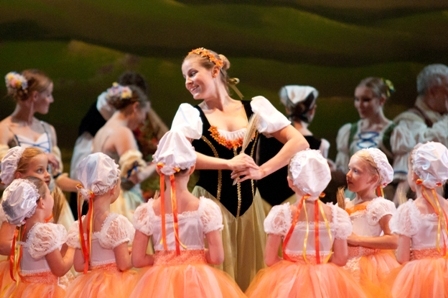 Today, Georgia Academy of Dance & the Performing Arts provides training from top professionals in all areas of dance and music and resides as the largest performing arts school south of the Atlanta Ballet. 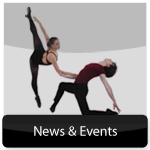 Students of Georgia Academy of Dance & the Performing Arts have received fine arts scholarships and acceptances to professional performing companies and colleges throughout the United States and abroad. Additionally, Georgia Academy of Dance & the Performing Arts provides over $125,000 annually in performing arts scholarships to students possessing talent, dedication, and commitment to the performing arts. 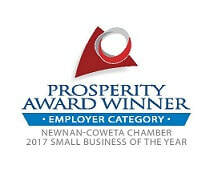 In addition, Georgia Academy of Dance & the Performing Arts has been selected to partner with the Partners in Education Programs and the Youth Apprenticeship Programs for the Board of Education of both Fayette and Coweta counties. Georgia Academy of Dance & the Performing Arts believes that the arts can bring courage, perseverance, and self-esteem to any child. Our mission is to provide a positive atmosphere where the potential artist in each may be explored and given the opportunity to thrive. Our dedication gives students the opportunity to achieve their highest potential and gives the community a chance to be a part of such achievement within the cultural arts. Every year, the local community is entertained and inspired by professional productions, including The Nutcracker Ballet – a holiday classic and family tradition. Georgia Dance Theatre’s production of the Nutcracker Ballet has been honored to receive recognition from such established arts organizations as Fayette Community Endowment Committee and the Georgia Council of the Arts. Many directors, teachers, and staff members are alumni of Georgia Academy of Dance & the Performing Arts. Additionally, Georgia Dance Theatre’s Professional Company is comprised of several alumni from the school. The school programs serve students of all ages and levels including early childhood education to pre-professional and professional levels. Georgia Academy of Dance & the Performing Arts proudly enriches all students with the joy and love of an arts education. Georgia Academy of Dance & the Performing Arts’ state of the art facilities have over 18,000 square feet of space which includes seven large studios equipped with floor to ceiling mirrors, professional dance sprung flooring with marley, and viewing windows. We also provide our Dancer’s Boutique at both locations to service our dancers in dance attire. Join us at Georgia Academy of Dance & the Performing Arts as we inspire the artist within.